Dne 19.03. 2019, je Dr. Dušan Marinčič sodeloval na delavnici NATO COE za gorsko bojevanje in predaval na temo globalno varnostno okolje ter zmogljivosti gorskega bojevanja v združenih procesih odločanja. V času od 4.03.2019 do 15.03.2019 je podjetje Dr DM d.o.o. uspešno izvedlo proces operativnega načrtovanja na vaji panter 2019 s pripadniki PSSV. Od ponedeljka, 4., do četrtka, 7. februarja, se pripadniki Poveljstva sil SV, v Vojašnici barona Andreja Čehovina v Postojni usposabljajo za proces načrtovanja in vodenja bojnih delovanj na operativni ravni. Usposabljanje so strnili v obliki vaje poveljstva z nazivom Panter 19. To je poveljniška vaja, na kateri se poveljstvo operativne ravni uri v postopkih operativnega načrtovanja in ter izvedbe operacije Zavezništva v kompleksnem varnostnem okolju. Usposabljanje temelji na tako imenovanem Occassus scenariju, ki predvideva napad sovražne države na eno od članic zavezništva in odzive Zavezništva skladno s 4. in 5. členom severnoatlantske pogodbe. V izvedbo usposabljanja je po pogodbi vključena družba DRDM d.o.o., ki ima bogate izkušnje pri usposabljanju in urjenju različnih NATO poveljstev operativne ravni ter izvedbi računalniško podprtih štabnih vaj. Prvi teden urjenja v februarju je namenjen teoretičnim predavanjem in praktičnim delavnicam (faza "Academics"). Poleg Poveljstva sil na vaji sodelujejo tudi posamezniki iz drugih poveljstev in enot sil SV, teoretičnih sklopov se udeležujejo tudi slušatelji višje štabnega tečaja na Poveljniško štabni šoli. Dejavnosti se bodo nadaljevale marca z načrtovanjem operacij v združeni operativni planski skupini (JOPG) in izdelavo načrta operacije (OPPLAN). Aprilu sledi usposabljanje iz štabnih postopkov in sinhronizacija delovanja. Vse skupaj se bo zaključilo z 14-dnevno praktično vajo Panter. JWC NATO hosted, from 3rd until 5th October 2017, a scenario stress-test for the exercise TRJE 18. Dr DM Ltd was responsible for planning, coordination and execution. At the end all participants have confirmed a successful scenario optimization and common understanding of operational environment. Dušan Marinčič Phd. has been kindly accepted by CMRE, La Spezia, as a member of the External Advisory Board for EU project ROBORDER, autonomous swarm of heterogeneous robots for border surveillance. He will be focused on evaluation on the developed platform and training of the border authorities and Law Enforcement Authorities (LEAs) of EU countries for using it. The ROBORDER platform will be validated in three different operational tests, two in the maritime environment conducting border crossing and marine pollution scenarios, and the other one in a land border crossing scenario. ROBORDER aims at developing and demonstrating a fully-functional autonomous border surveillance system with unmanned mobile robots including aerial, water surface, underwater and ground vehicles which will incorporate multimodal sensors as part of an interoperable network. Project intention is to implement a heterogeneous robot system and enhance it with detection capabilities for early identification of criminal activities at border and coastal areas along with marine pollution events. Team Dr DM Ltd. had a pleasure to organize a COMPUTER ASSISTED EXERCISE for the students of GEA College in Ljubljana again, from 19. to 20. May 2017. Main topic was »Corporate management in an emergency situation«. Students of bussiness management and corporate security management formed a Training Audience that achieved all training objectives with great success. Creation of an action plan with appropiate measures in order to neutralize negative consequences of a crisis and provide business continuity. On Friday 19 May 2017, student have followed preparatory presentations on Computer Simulation modeling and CAX methodology. During Saturday morning, training conditions put them in the role of Company management group, which had to solve severe crisis in production, caused by natural and man-made disasters. Proper incidents’analysis and action plan led them to the final decisions for mitigation of consequences. Technological improvements of the exercise Information Management System proved it’s quality with timely support to the overall decision making process. During the post exercise discussions students expressed their satisfaction with the practical training and wish to have that kind of training more often. Dr. Dušan Marinčič had a pleasure to interact with the international group of students on 13th March 2017 on Faculty for Social Sciences in Ljubljana. Main topic was » Computer Simulation Modeling of Crisis Management«. Possibility to find solution for the decision making problems by research. Through the process of CAX we are undoubtedly optimizing current staff procedures and decision making processes in synchronization with all other stakeholders in the area of responsibility. In order to properly apply above mentioned training methodology, it is of utmost importance to understand the potential customer needs. Live demonstration of CAX capabilities would create a common understanding, mutual acceptance and harmonization of all desired activities. Ultimate goal is to provide training conditions for audience in order to achieve training objectives. That will prepare them for the real world crisis decision making process on strategic, operational or tactical level. For the past six months our Company Dr DM Ltd, has provided Modelling and Simualtion Consultancy work with its effort to enhance and reinforce training and exercise environmente for Allied Nations, beyond 2020. Fiscal constraints and increasing expectations for readiness and operational effectiveness have led to a stronger interest in the use of simulation to support military training. In the past several decades, M&S has evolved from an emerging science to a sufficiently mature discipline to effectively and efficiently support several areas of training. However, while some Nations rely heavily on M&S to help achieve readiness and operational effectiveness, within NATO the development and use of M&S-based solutions in general has remained more modest. For effective modeling, it is necessary to understand contents of the problem, and simultaneously mathematical language or way in which problem has been described and modeled. Modeling is allowing transition from real world to virtual one (artificial, synthetic), where attributes of landscape components, processes and events have been transferred. We could represent their structure (static models) and functions (dynamic models) with the models, and we can forecast future developments or certain chain of events, which is particular value of simulation models. are focused on research and experimentation. The differentiation of a simulation models from the other models is, what we are doing with the model and not which type of the model we have. In the case of simulation we want to understand the behavior of the model and ways of manipulation with it. Value and purpose of the simulation is measured by level of data application from the model. Application of future Simulation systems is fisible for Crisis Response Operations, Emergency Management and Corporate Security Training & Exercises. Dr DM Ltd Team had an opportunity to prepare, organize and execute two days of CAX Workshop on GEA College in Ljubljana, for the students of Corporate Security. On Friday, 18 March students have learned about global security factors, CAX methodology and CAX scenario for their activity. Saturday, 19 March 2016, was focused on execution of exercise incidents and injects. Generic GEA Emergency Operations Centre (EOC) was structured and organized in the spirit of ISO 22320 and ISO 22301. The Incident management was properly delivered, command and control system established, operational information was integrated and shared with the proper external stakeholders. Student were very enthusiastic and willing to learn about contemporary training methodology in relations to the Business Continuity Management (BCM). Dr DM Ltd Team also introduced a new EXONAUT BCM module, which could help companies to form and test their continuity plans. The permission-based tool supports the enterprise-wide identification and mapping of critical organizational processes and resources to understand dependencies and any single points of failure. Users are then guided through the process of establishing Maximum Tolerable Period of Disruption (MTPD), Recovery Time Objectives (RTO) and Recovery Point Objectives (RPO). At the end of the Workshop the Dean of GEA College, mag. Katja Kraškovic expressed her intention to organize even more demanding CAX for her students in the future. Workshop was very pleasant and inspiring event for our team. MSETT and MSETT Hellas S.E. are announcing the 1st International Computer Assisted Exercises Course which is going to take place in Athens Greece, from May 23 to June 03, 2016. The course is going to be hosted in the outstanding training facilities of Akmi Metrolpolitan College in Marousi Athens (http://www.metropolitan.edu.gr/en/). The training course will be supported by DR DM Ltd (www.drdm.si) and Artifex (www.artifex.hu). All three companies (MSETT, DrDM, Artifex) are going to offer a theoretical and hands on training which, for the first time worldwide, is going to award attendees with International CAX Experts Certification. Računalniško podprta vaja (RPV) zagotavlja kvalitetno individualno in kolektivno usposabljanje v osnovnih veščinah odločanja in poveljevanja na različnih ravneh v vsaki organizaciji. Na vajah se simulacijski model in informacijska tehnologija uporablja za spodbujanje in nadzor procesov presojanja razmer in odločanja znotraj organizacije. Uporaba simulacijskega modela na računalniško podprti vaji je nepogrešljiva učna metoda, ki dinamično predstavlja operativne pogoje ter družbene procese realnega sistema v sintetičnem okolju. V dinamičnem sistemu usposabljanja je uporabljeno digitalizirano območje in oprema, ki omogoča udeležencem vaje pridobivanje novih znanj in veščin ter vedenja. Vsaka RPV predstavlja istočasno tudi raziskovalno metodo kajti za pripravo izpolnjuje nekaj kriterijev, ki ji to omogočajo: novost problema, pomembnost in uporabnost rešitve problema za prakso, stopnja zainteresiranosti za rešitev problema, razpoložljiva oprema in drugi pogoji, ki so potrebni za raziskovanje, aktualnost rezultatov raziskav in možnosti za rešitev problema s pomočjo raziskovanja. RPV se je v zadnjih desetletjih uporabljala predvsem za pripravo nacionalnega in mednarodnega varnostnega okolja za elemente strateške, operativne in taktične ravni odločanja, z namenom pravočasnega in primernega odgovora na varnostne odklone v kompleksnem okolju. Metodologija RPV postaja vedno bolj nepogrešljiva metoda testiranja tudi znotraj korporativnega okolja, skozi proces neprekinjenega poslovanja. Različni tipi organizacij se vedno bolj zavedajo pomena zunanjih in notranjih negativnih vplivov okolja, ki lahko resno ogrozijo njeno poslovanje, ugled, ali celo obstoj. Ker je možnih incidentov čedalje več, se je za krepitev odpornosti pred takimi dogodki, zagotavljanje nemotene izvedbe poslovnih procesov, za čimprejšnje okrevanje po izpadu ter pravilno ukrepanje ob samem dogodku, potrebno sistematično in celostno lotiti zagotavljanja neprekinjenega poslovanja. Le tako lahko organizacija zmanjša in nadzoruje notranja ter zunanja tveganja vse bolj kompleksnega okolja. Glavni in ključni namen neprekinjenega poslovanja je po novem ISO 22301: »sposobnost organizacije, da po incidentu nadaljuje z dobavo proizvodov in/ali storitev na sprejemljivi vnaprej določeni način « oziroma » Upravljanje neprekinjenega poslovanja (BCM) je definiran kot holističen pristop, ki identificira potencialne grožnje organizacije ter njihov vpliv na vse poslovne procese. Hkrati proces upravljanja neprekinjenega poslovanja predstavlja osnovni okvir za vzpostavitev sistema poslovne »odpornosti« na vsa tovrstna tveganja, ki vplivajo na ugled, ključne nosilce organizacije, dodano vrednost in ostale pomembne elemente uspešnega in stabilnega poslovnega razvoja organizacije (ISO 22301:2012). Srednjeročni strateški načrt našega farmacevtskega podjetja predvideva v letu 2015/2016 širjenje del proizvodnje tudi na Bližnji Vzhod, s ciljno usmerjenost v Iran. Pred sprejetjem končne odločitve strateškega managementa, je potrebno opraviti podrobno analizo poslovnega okolja regije Bližnjega Vzhoda ter države Irana, s poudarkom na ključnih varnostnih tveganjih (geo-politično stanje) in groženj vezanih na Iran. Poleg tega bo oddelek za korporativno varnost opravil še multivarintno analizo Irana, kjer bomo s pomočjo več kot 40 uporabljenih spremeljivk, 5 družbenih skupin (geografska, demografska, socialna, ekonomska in politična skupina) natančno določili, kam je najbolje seliti proizvodnjo (katera provinca), za uspešno poslovanje. Skozi omenjeno analizo bomo pod vsako družbeno skupino opredelili tudi varnostne odklone in posebnosti, ki so pomembna za naše poslovanje v poslovnem okolju Irana (npr. pridobivanje outsourcinga, kultura poslovanja, delovne navade, čas delovanja proizvodnje, konkurečno okolje, pravne podlage....). Z vsemi pridobljenimi podatki analiz ter informacij iz odprtih virov (obveščevalna dejavnost) bomo na koncu opredelili načrt aktivnosti našega oddelka za korporativno varnost, za uspešno izvedbo procesa zagotavljanja delovanja korporativne varnosti v primeru, da se seli del proizvodnje v Iran. V načrtu bomo za vsako ključno tveganje opredelili možne rešitve obvladovanja tveganj in načrtovanja organizacije dela ter ukrepov korporativne varnosti. Torej v nadaljevanju bomo najprej spoznali in opredelili geo-politično stanje v regiji Bližnjega Vzhoda (bližnja okolica Irana), sledi analiza dinamičnega družbenega okolja Irana (multivariantna analiza in kvalitativen opis pomembnejših družbenih dimenzij) ter načrt obladovanja tveganj za uspešno selitev in poslovanje na tržišču Irana. The Computer Assisted Exercise (CAX) is training methodology that is simulating a societal processes in synthetic environment. CAX has been used in the last two decades for preparations of National and International security elements on strategic, operational and tactical level in order to prepare timely and appropriate repsonse to security deviations in the crisis areas. By shaping the common understanding of societal needs of the affected countries, it has been much easier after that to send apropriate international capabilities for societal rebuilding. Main motive for this research was to find out if the same methodology could be used for the management of corporative security, which is rensponsible for efficient and prompt reactions on external and internal threats to corporations' processes. Main purpose is to describe opportunity for corporations to train and understand own internal security interactions and external societal dynamics, in order to provide appropriate management of corporate security and to maintain continuity of corporate governance. It is a corporation’s function that oversees and manages the close coordination of all functions within the company that are concerned with security, continuity and safety. Globalization is pushing companies to more risky places where is important to understand an interaction between societal dimensions and potential risks in order to maximize the realization of opportunities. The CAX methodology was explained by phases as follows: planning and preparation, scenario development, execution and analysis. Spain was analyzed as a case study of the Local Capability for sustainable development in 2012, where the findings are representing prerequisites for the final analytical framework of decision making process. Research has been confirming a value of CAX, which ensures to the Corporate Security Management a suitable and timely reaction to security deviations, and creates conditions for effective corporate governance and continuity of corporate security functions. Exonaut™ Business Continuity Manager (BCM) is an automated platform designed to guide organisations through the entire BCM lifecycle. This enterprise-wide tool is designed to ensure compliance with relevant Business Continuity standards and industry best practice. Exonaut™ BCM provides organisations with a common methodology to deliver structure, cohesion and consistency to all continuity and recovery planning, testing and audit. The permission-based tool supports the enterprise-wide identification and mapping of critical organisational processes and resources to understand dependencies and any single points of failure. Users are then guided through the process of establishing Maximum Tolerable Period of Disruption (MTPD), Recovery Time Objectives (RTO) and Recovery Point Objectives (RPO). Risk assessments can be created within the tool to determine probability and impact of disruptive events in order to guide prioritisation of continuity solutions. Plans are subsequently developed in the tool, with the template based on action-oriented task lists to facilitate ease of application during a major disruption. The tool delivers the capability to test and activate plans. Integration with Exonaut™ Observer (OBS) enables users to receive direction and complete assigned tasksduring a test or “live” disruption using their mobile or tablet devices. 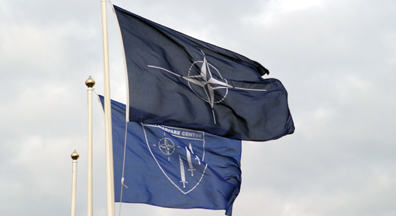 Developed by Joint Warfare Centre (JWC), NATO’s new training scenario will be launched during the Alliance’s largest exercise this year, TRIDENT JUNCTURE 15 (TRJE 15). Dubbed “SOROTAN”, the new scenario reflects a very complex threat environment in the fictional “Cerasia” region and looks to challenge NATO forces with a wide range of conventional and unconventional threats, including hybrid warfare. Unlike the “SKOLKAN” scenario, which presents a complex Article 5 Collective Defence of a NATO Member Nation, SOROTAN provides a setting that enables an out-of-area, non-Article 5 Crisis Response Operation to bring a border war to an end before it expands to the entire region.